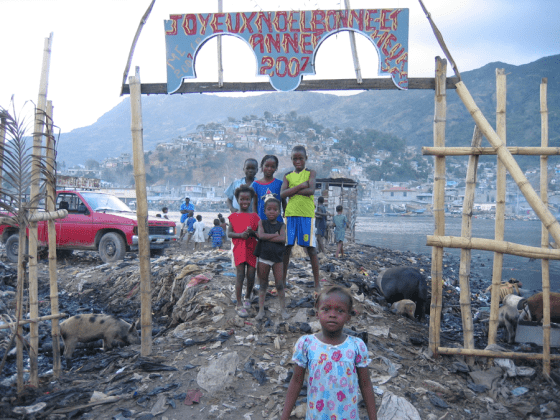 Last week SOIL kicked off our 10 Year Anniversary with celebrations in Port-au-Prince and Cap-Haitien. Few people know how to throw a party better than the SOIL team, and everyone was extra excited to be celebrating such a significant milestone. We will be celebrating our 10th Anniversary throughout the summer, but we wanted to kick things off with a celebration of our team, who have carried SOIL to so many successes over our ten-year history. 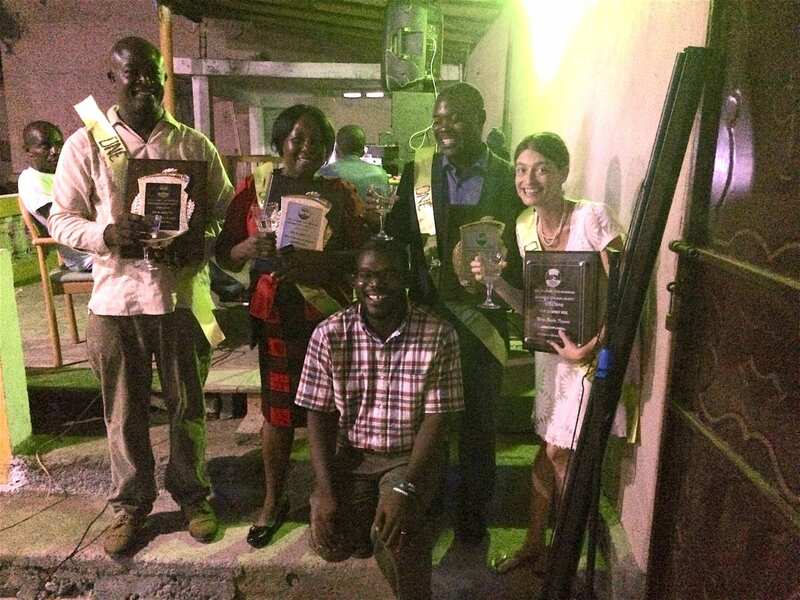 Several SOIL staff have been with us since the very beginning, and we wanted to take a moment to honor each of them with a special award to recognize their incredible passion, dedication, and commitment to SOIL’s vision of dignity, transformation, and growth in Haiti. At both celebrations the SOIL team was treated to a photo slideshow with images from the last 10 years. Everyone had a real laugh to see SOIL’s co-founder’s Sasha, Bobo and Josapha looking so youthful and carefree back in 2006. In addition to SOIL’s full time 10 year staff, special plaques were given to Fred Doll (Dodo) and the amazing Madame Bwa, though both are full time staff now, they began volunteering their services to SOIL back in 2006 and have always been at the heart of SOIL’s work. After the awards ceremony, the SOIL team celebrated in style with a beautiful feast and lots of dancing! In addition to the parties, we were thrilled to be able to share our news widely throughout Haiti by hosting press conferences and site visits in both of our regional headquarters. Several dozen journalists and local officials visited our compost site in Cap Haitien and the Port-au-Prince press conference was broadcast on national television throughout Haiti! In a country where numerous organizations and initiatives have been unable to effect lasting change, we are humbled and honored to stand apart as a rare success story, and we know that our deep commitment to building relationships and locally-driven solutions has been an integral piece of our success. The neighborhood where SOIL started our urban sanitation work, Shada, is one of the places where there is a visible impact from SOIL’s decade of work. When we first began work in Shada in 2006 the only toilets available were makeshift shacks with a hole in the floor that dropped directly into the river. Today SOIL sanitation programs in Shada serve more than 1500 people each day and the makeshift toilets that once sat over the river have been upgraded to safe managed public and household ecological toilets. 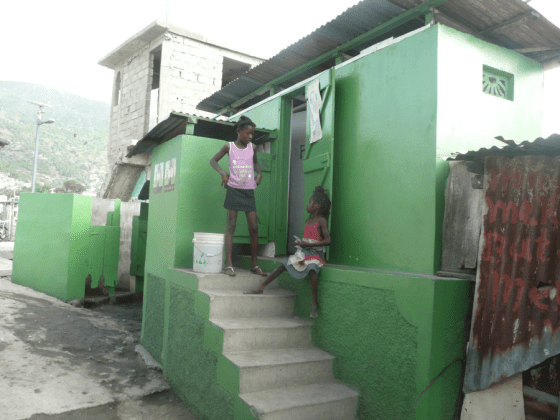 We are so proud to live and work in Haiti and continue to innovate truly sustainable solutions to the country’s sanitation crisis. And as we celebrate this amazing milestone we are also celebrating our ability to envision our next ten years of groundbreaking work in the Pearl of the Antilles. We thank you for your friendship, support, and faith, and we look forward to sharing our next ten years with you. As we remember the last ten years of SOIL’s work, we want to take a moment to thank some of SOIL’s co-founders who have moved on to other callings, but who’s hard work, sacrifice and dedication made the organization what it is today. We are so grateful to Sarah Brownell, Chantal Augustin, Nica Lagredel, Kevin Foos and Johnny Estimable for their contributions to building SOIL. No Replies to "SOIL Celebrates Ten Year Anniversary"